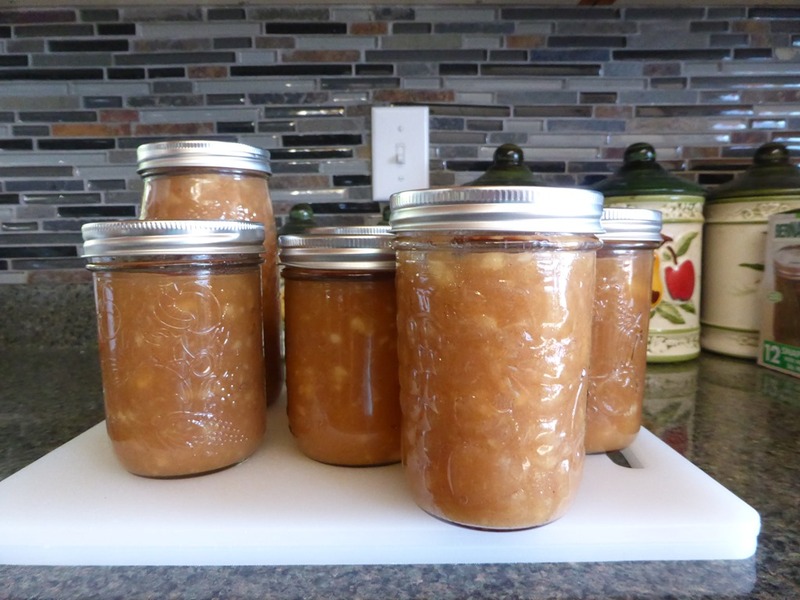 This entry was posted in Gardening, Grandparent, Humour, Life, Photography, Recipe, Travel and tagged bears on the Northern Vancouver Island, canning applesauce, garden harvest, home canning. I got a good laugh out of your comment, Jane. If I ever see a bear knocking on the screen door it might be time to think about moving to the city. For some reason, I consider all wood decking around the place to be sacrosanct when it comes to wildlife. Although, once a rogue Billy goat did charge the old sliding glass door but how a Billy goat ended up running around here is a story for another day. I love bears, so this goes without saying — but what the heck, I’m here. I might as well say it. I love your post. Thank you, Marguerite. What’s not to love about bears (from a safe distance they are just so darn cute) and canned applesauce? Wow, your bear pictures are amazing, don’t get them over here in the UK. 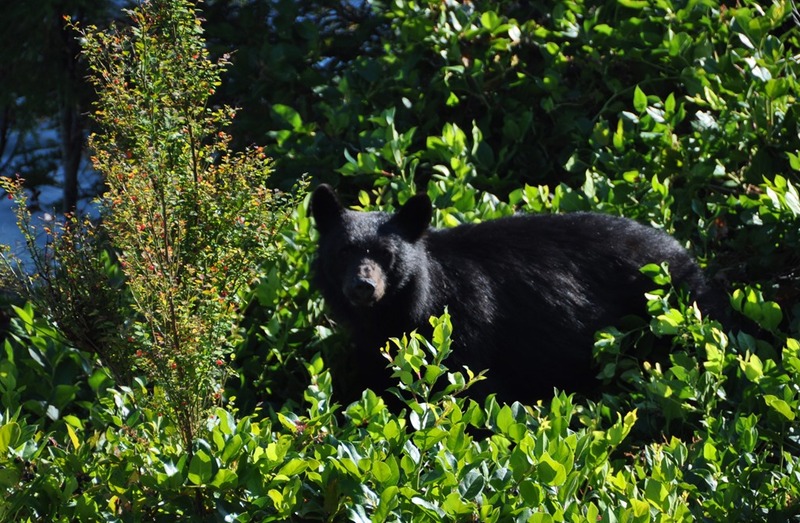 To be honest, bears roaming around Northern Vancouver Island are so utterly common, most people don’t think twice about them. The bears we get out here are not garbage bears because there is no garbage to be found so far from town – just your run-of-the-mill black bear looking to pack on some weight before winter. They generally want to avoid human contact as much as we would like to avoid them. But cubs always up the ante and we’re pretty careful. Does make for some amazing photos now and then. This was so special and I agree, magical that they came around while the kids were there! I love Brit’s thoughts that the baby bear wanted to play on the slide.. I can smell the applesauce cooking and wish I were there! I just put a post in my drafts about hard apple cider breweries, mentioning I love apple cider. Will be posting it on a busy day after work this week! We do enjoy introducing the grandkids to a somewhat different lifestyle than they experience every day with our composting toilet and alternative energy system, food picked fresh from the garden and squirrels skittering around the deck and chattering from the branches of the trees. Bears crunching their way through the salal bushes right behind us – a bit close for comfort but they sure did a kick out of the cub in the tree right outside the window. 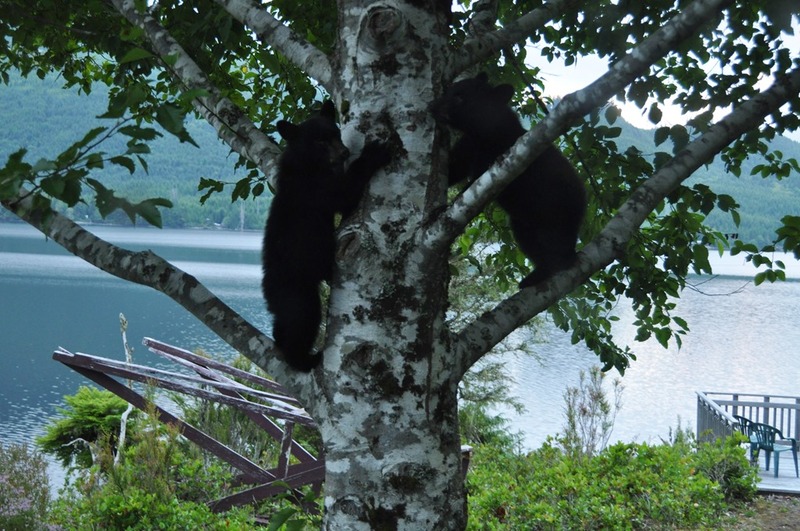 I have had my share of run-ins with black bears. 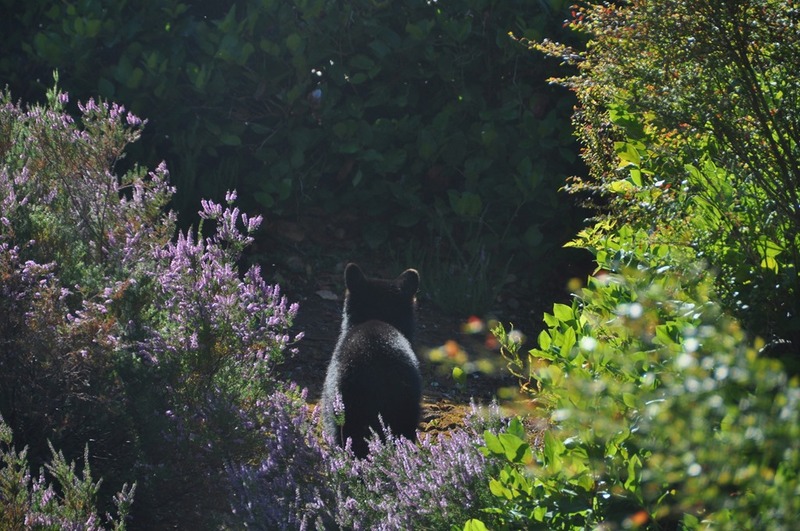 Once (two years ago early July) I was so deep in thought on one of my daily walks I came face to face with a young male black bear. Took me a while to register I was facing a bear 🙂 luckily he was too busy rummaging for garbage to give me much notice. Great story Francis 🙂 Love your pics! I’m happy to say that I haven’t had any face-to-face encounters for all the number of times we see bears around here, I’m usually on a deck looking down at them or have heard the tell-tale signs and have made my way inside. From what I’ve experienced, it seems bears in the wild are not just hanging out like garbage bears. They are constantly on the move – here now, gone in a bit. I’m glad your close encounter worked out so well. A bit of fear (in terms of caution) is a wise thing when it comes to bears. We use to teach this little bit in the schools up here all the time – How to be bear aware. That’s the key, right? Where ever we are – be aware of your surroundings. As I’ve mentioned in a couple of comments, we have a lot of decks and they provide great vantage points for viewing and photography. Wow…I’m all for living with nature, but this was a bit full on. Nervewracking or what? Thanks for the re-blog on Anita & Jay. I’m much more cautious when the kids around, for sure. And it certainly can be nerve-wracking sometimes. Then we get home from a visit to the city and we think – whew – now that is the definition of nerve-wracking. As you say – all worth it. That’s one of the best harvest stories I have heard! Fortunately, no bears here. Thanks 🙂 Something to be said for bear free harvesting. We humans are such creatures of habit, aren’t we? Comfortable with the familiar – I take the bears with a grain of salt. Gardening we get on with in fits and starts. But plunk us down in your corner of the world and we’d probably hyper-ventilate. Though we love, love to visit great cities we are very much out of our element. I tend to gawk around like the proverbial city mouse. You are so right about blogging, Gwen. It is a great way to gain a window into different lifestyles. Now those Chicago Bears – a whole different type of animal 🙂 I tried to hastag this post on Twitter as #bears and you can imagine what came up. Not my wild black bears. We do live in a wonderful little corner of the world and if nature interferes now and then with our pursuits it is a small price to pay. That was a funny story, and some great pictures as well. I enjoyed both. I wish I could enjoy some of the applesauce. I left one jar unsealed and I am told that it is quite tasty. Glad you liked the story and photos, Peter. Thanks for stopping by. Wow – it’s been 5 weeks since I created a post. I assure you I’m alive and well, although busy with family, home and carpentry obligations. My apologies for not being so attentive to the blog-o-sphere over the summer. I do enjoy connecting with you all, such a diverse and interesting cross section of humanity. In this re-blog, I give you a glimpse of another reliable alternative energy source, the best under the sun – my wife and partner Francis. Here she has a wonderfully funny harvest story, bears and children included. Oh – if you get a chance please check out her two e-novels of “The Crater Lake Series” (on the right side bar). It’s on location at the lake we live on (sort of). I guarantee you won’t be disappointed! Peace and good cheer to all of you . . . Bruce. A great story! I like bears but they make me have fear..They are beautiful but dangerous!I noted that,this place is wonderful! Thanks. I was really trying to get that point across – nice to look at and photograph from a safe distance. 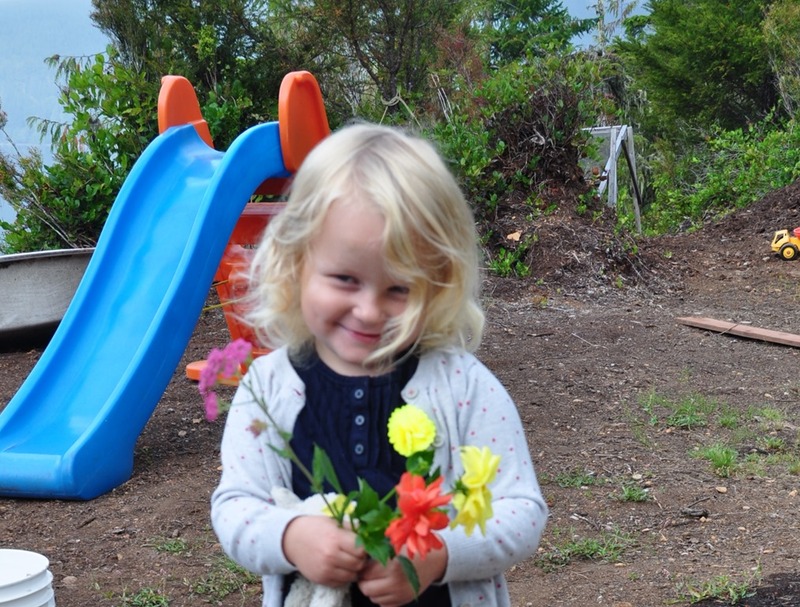 Ya – she’s a pretty special little kid. 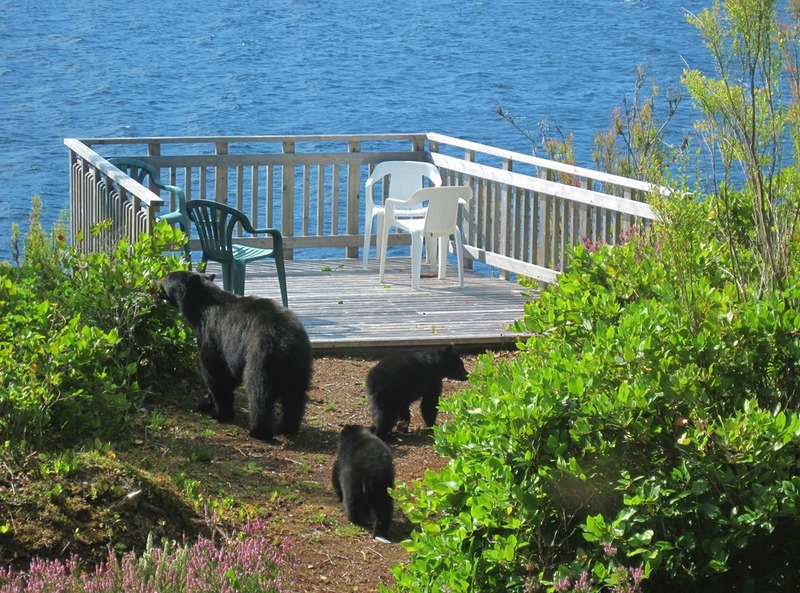 We are all still amazed that the only time we saw the bears were when those grandkids were visiting.